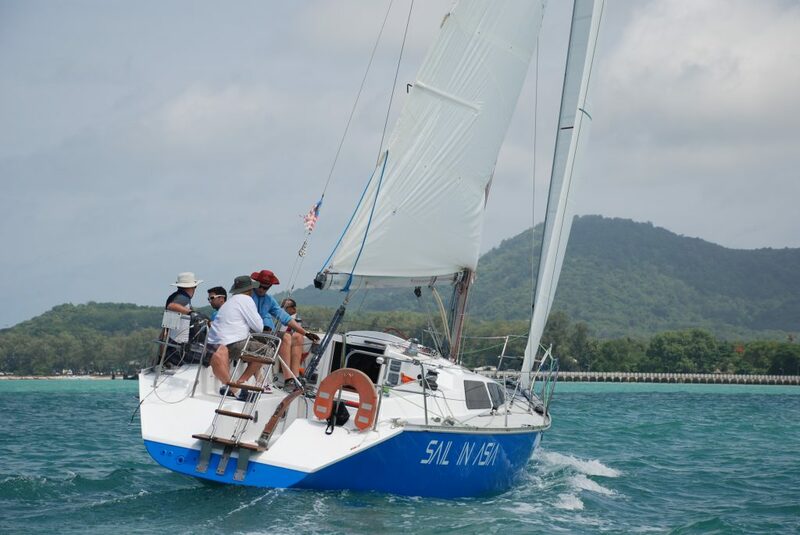 The SIA Club is a Phuket watersports facility run by Sail In Asia has been formed to encourage SIA students, past and present, to Go Sailing more often. 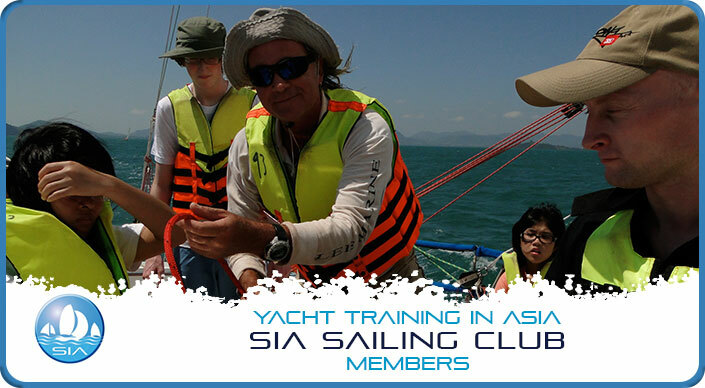 Students who complete or have already completed a Zero To Hero Course are able to become Full Members of the SIA Sailing Club which gives them access to our yachts, at very reduced fees, (better than any other charter company or school in Thailand). 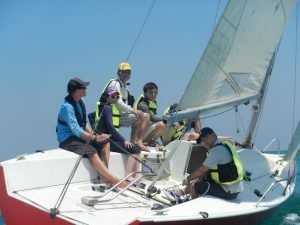 The aims of the SIA Sailing Club are to enhance students sailing abilities and to ensure they have easy access to yachts. 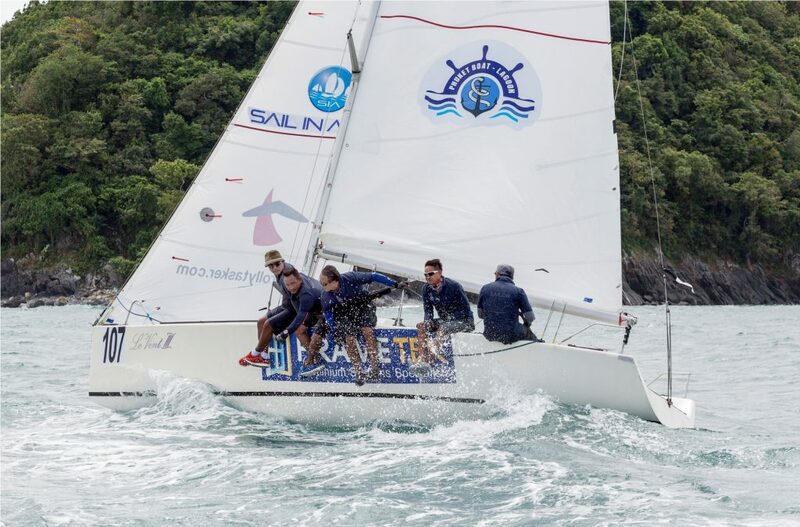 Students can accumulate mileage and maintain or improve their skills and knowledge - particularly if they wish to become Yachtmaster Coastal or Yachmaster Offshore skippers. Our Platus are available to SIA Club Members on Saturdays and Sundays for only 1500THB per person. 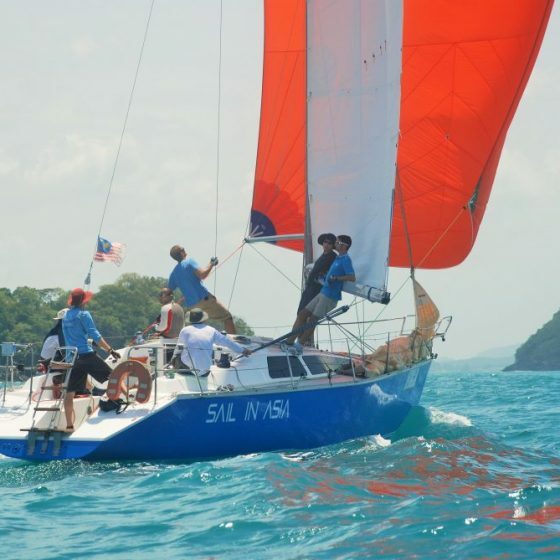 The SIA sailing Club is a Phuket watersports facility run by Sail In AsiaThe Sail in Asia Sailing Club has been formed to encourage SIA students, past and present, to Go Sailing more often. 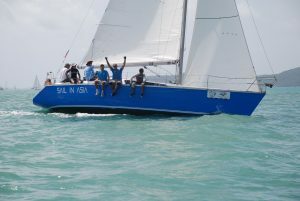 The aims of the SIA Sailing Club are to enhance students sailing abilities and to ensure they have easy access to yachts. 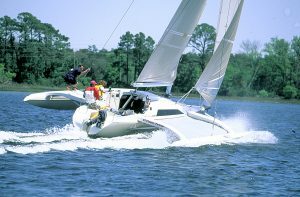 Our Corsair 28 Trimaran in Action! 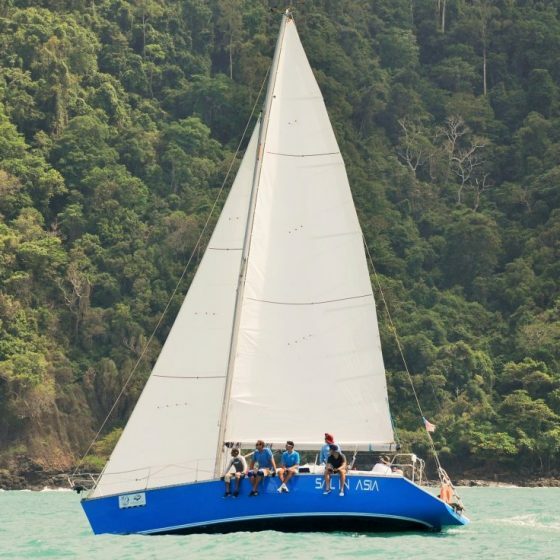 Sail in Asia’s Fleet includes a Corsair 28 Trimaran which is available for half day or full day day charter. Members and Associate Members should check out this video! 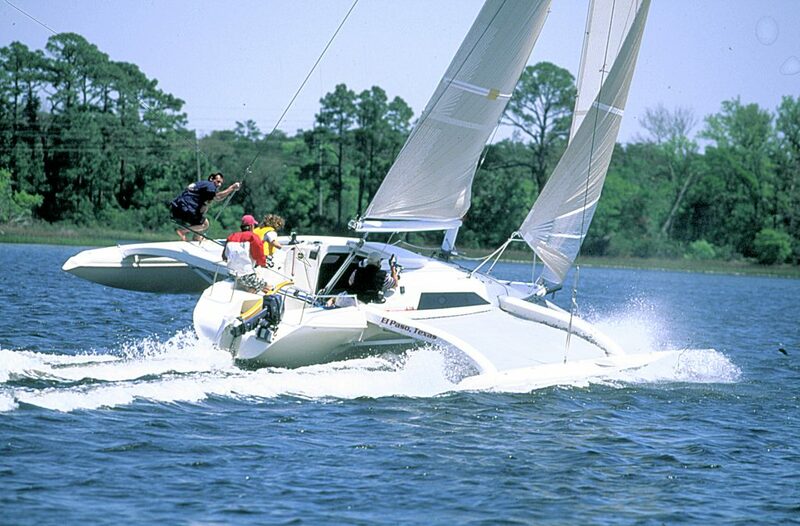 The Trimaran is perfect for learning to sail with young children or older people. its a delight for local journeys, weekend sailing, and picnics at anchor whilst others are snorkelling off the back. This boat can be put right on the beach and floated off at the next high tide! 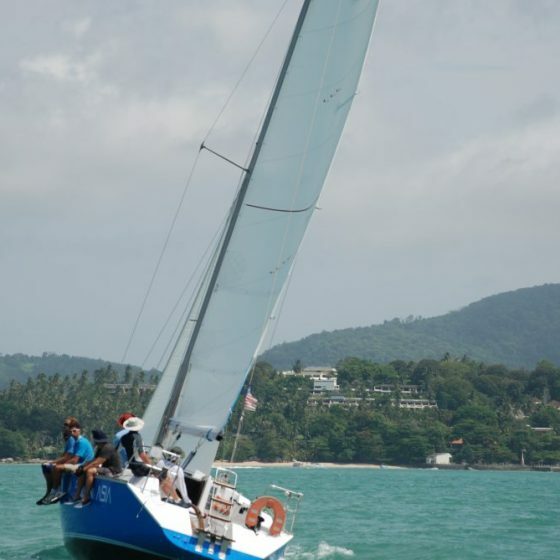 Sail in Asia’s Fleet includes a Corsair 28 Trimaran which is available for half day or full day day charter. Members and Associate Members should check out this video. 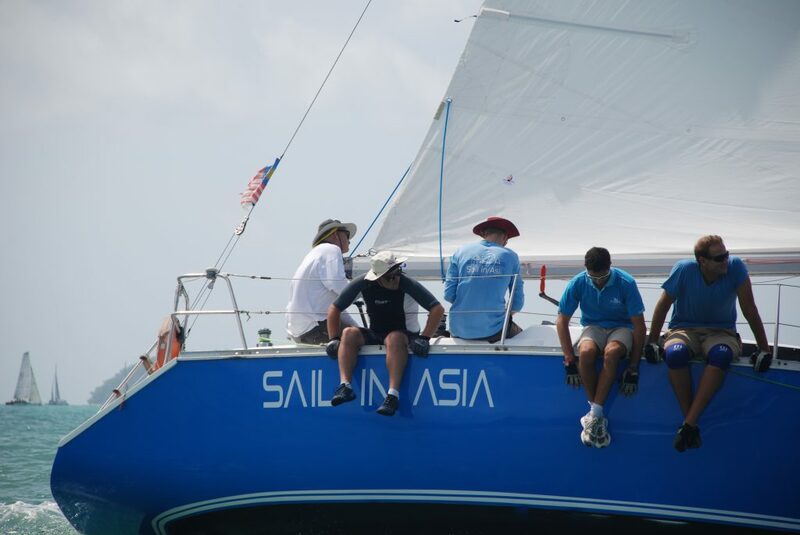 Sail in Asia’s Fleet comprises Platus, Farr 1104’s, Corsair 28 Trimaran and 4 RIBs not to mention our 22 person Dragon Boats. The fleet is pretty big and Members and Associate Members can use many of the craft. The Platus are all very similar and we use them for training beginners and International Regattas. 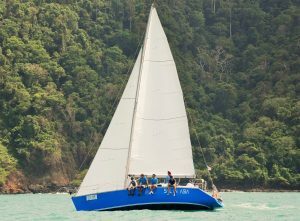 They are great boats to take out for a coastal day trip or just a bit of fun in Ao Yon Bay. 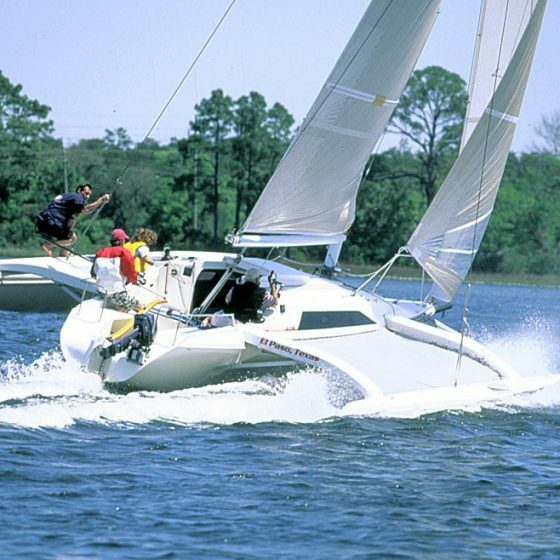 The Trimaran is for the speed freaks amongst you. 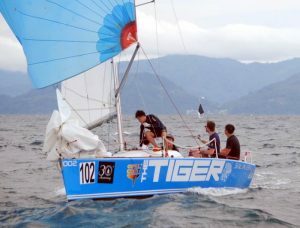 They can do over 20 knots on a windy day but are a delight for local journeys or weekend sailing. They can be parked right on the beach! 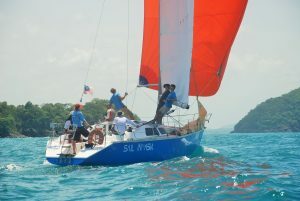 The Farr 1104’s are the greatest training yachts I’ve ever used. Superb balance and feel, fast but not overwhelming and a delight for demonstrating controls and technique. They are superb day boats with easy access to the water for snorkelling or picnics ashore. Our big RIB is used mainly for RIB Master training but can be rented out too for family excursions to beaches on nearby islands. 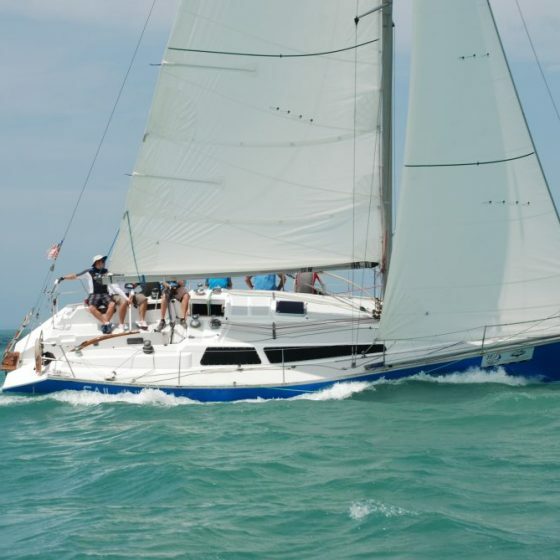 Can bring up to 4 paying guests / family to sail with. 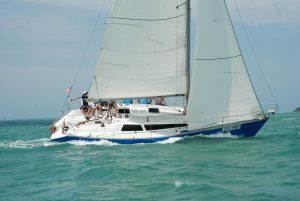 Can book a yacht to sail in advance, with own group. Check out the membership offer and conditions in the PDF below. 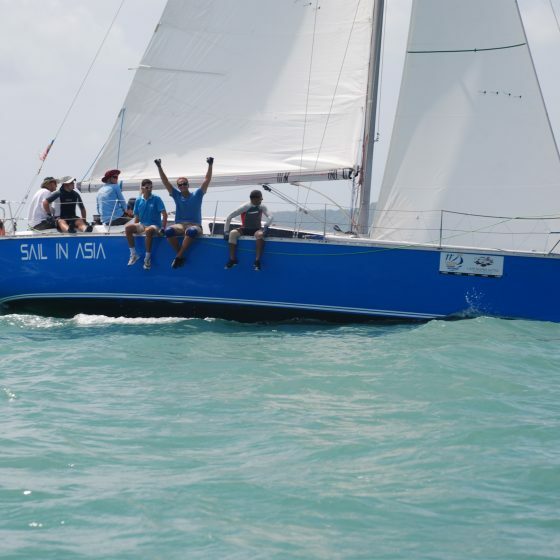 Racing Courses will be organised for interested students or Members which will enable them to participate in local or International Regattas. 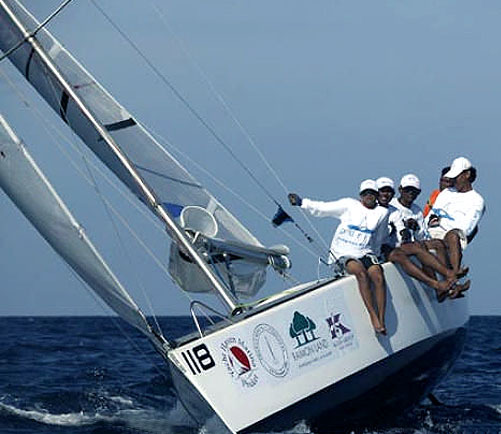 We will teach crews to handle spinnakers, tune their boat and improve their boat handling when they join our courses. There are two types of membership. Full Membership and Associate Membership. The benefits and entitlements to both memberships are outlined in the columns below. 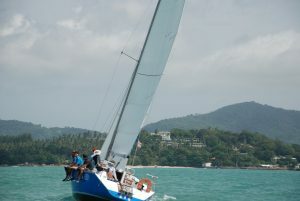 Join our Phuket Sailing Club today! Our Associate Membership is aimed at Individuals rather than Full Members. Benefits are outlined on the download and are priced favourably with participation in many Join Us activities. Associate Membership is individually oriented. The annual cost is 10,000THB which is effectively as little as 200THB per week. Complete the Download and send it back to us to become a member. 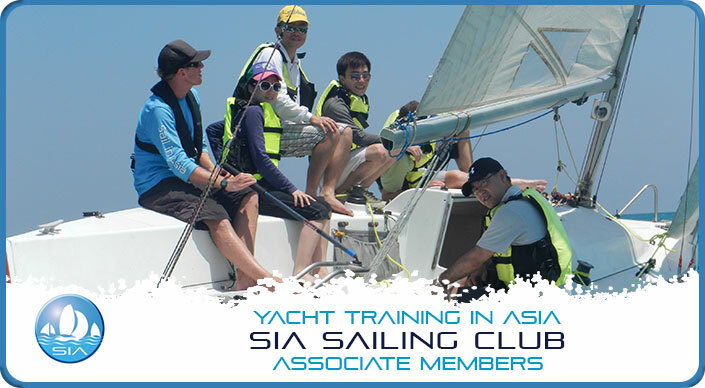 Full Membership of the SIA Sailing Club brings with it some major benefits. Check out the benefits in the download below to see if this appeals to you. Full Membership is family oriented. The annual cost is 15000THB which is effectively as little as 300THB per week. 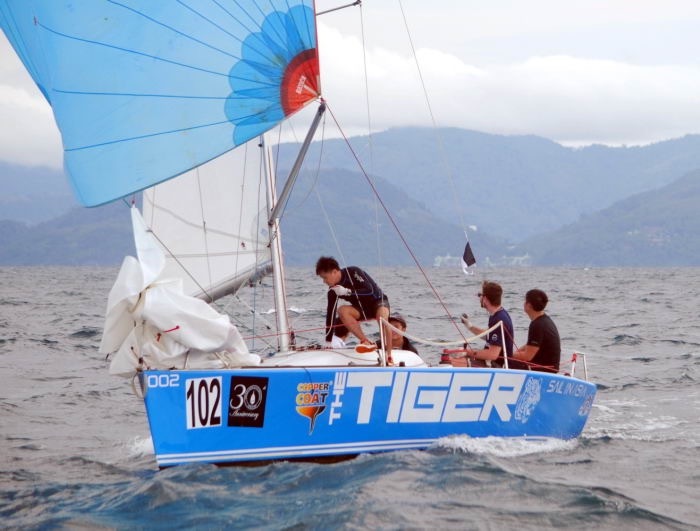 Looking for a Phuket Sailing Club? We would be delighted to see you at our SIA Club . Before you join why not come down on a SATURDAY and see whats going on and have a chat with our beach staff about the club. The Club has sailing, dragonboating and canoeing equipment and we invite you to come and try it out before commiting to a membership. Call us to check out whats going on before you visit if possible. We look forward to seeing you. Check out the membership offer and conditions in the PDF below. 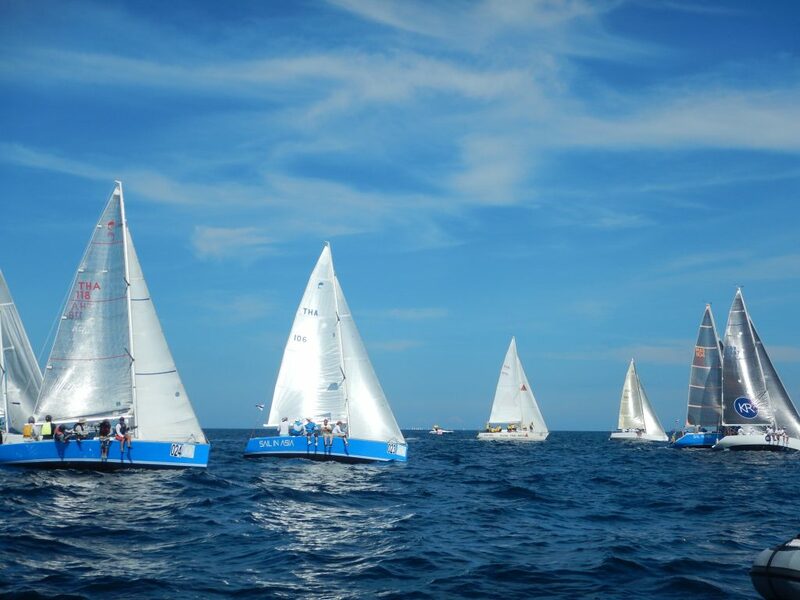 Racing Courses will be organised for interested students or Members which will enable them to participate in local or International Regattas. We will teach crews to handle spinnakers, tune their boat and improve their boat handling when they join our courses. There are two types of membership. Full Membership and Associate Membership. The benefits and entitlements to both memberships are outlined in the columns below.